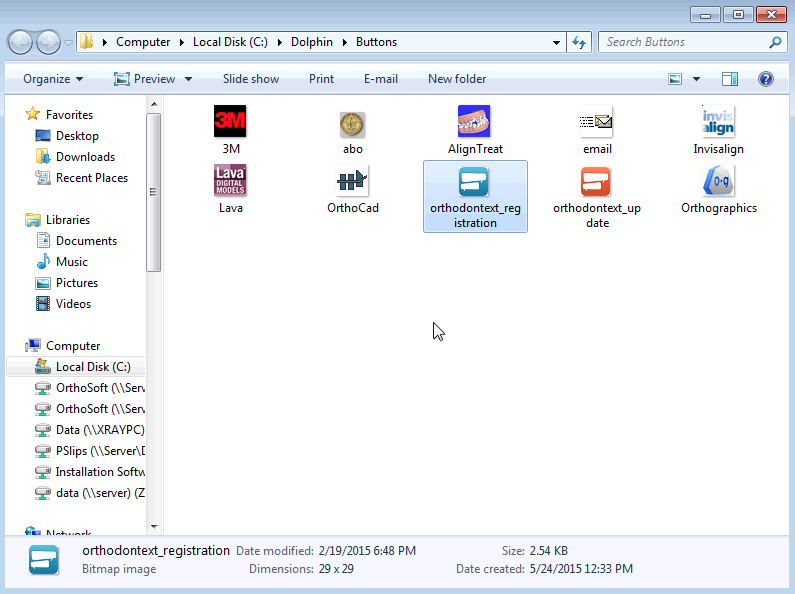 Step 1: Save icons into the button directory. 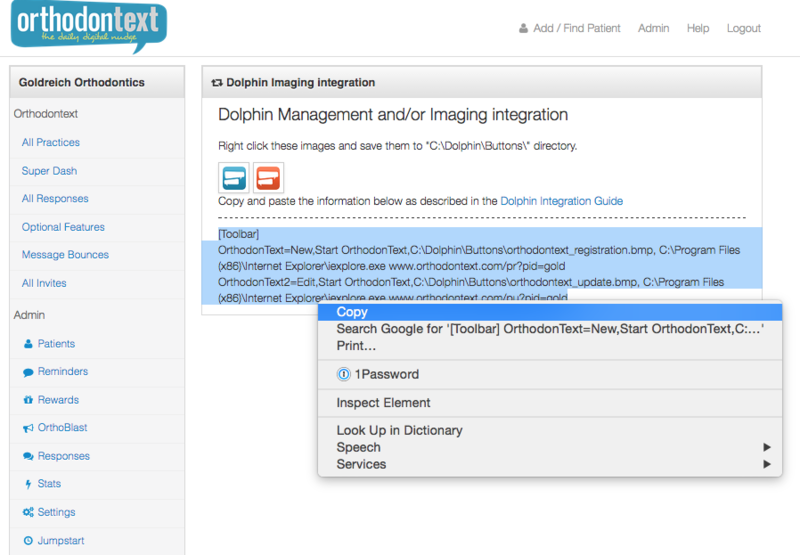 Here's how: Login to your Orthodontext account and go to Admin>Jumpstart>Dolphin Integration INI code, right click on the blue image of the icon and click "save image as"
Do the same thing for the orange icon, but when you click save as, it may already be in the buttons folder, so you just have to click Save one time instead of twice. 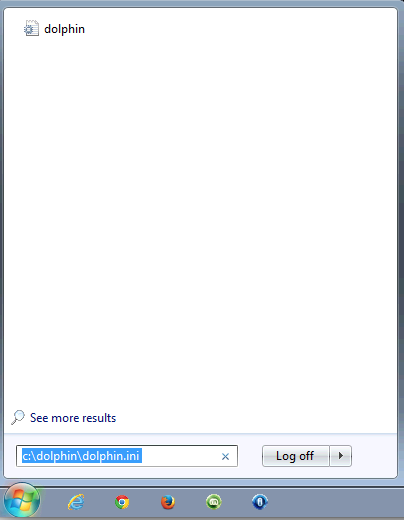 Step 3: Save INI as Dolphin_old. This will serve as a back up. 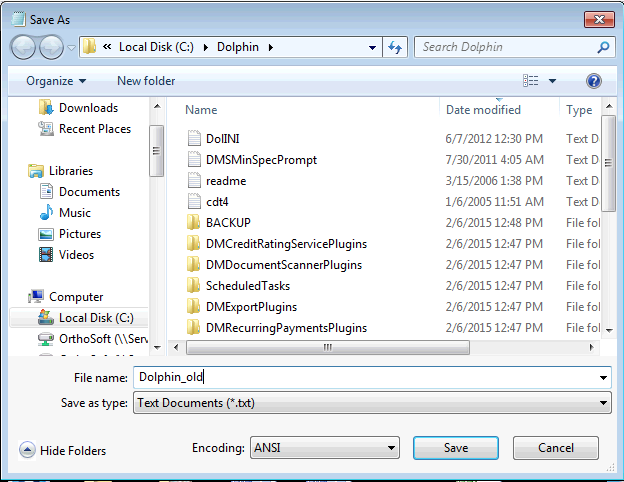 Step 5: Go to the Admin>Jumpstart>Dolphin Integration INI code. 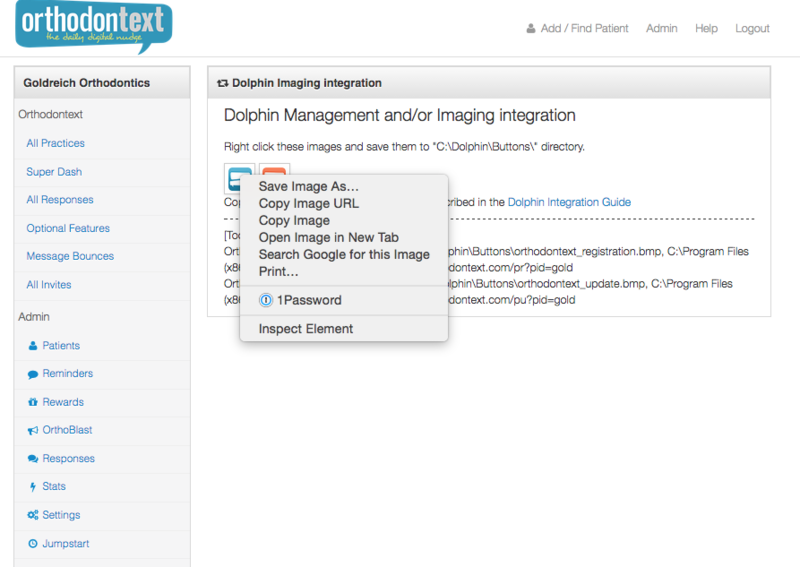 Copy the highlighted text as seen below. 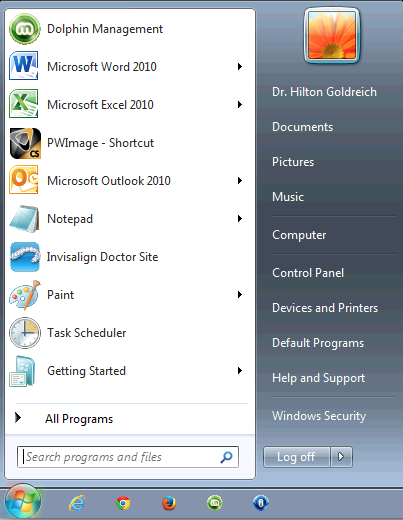 Step 6: Place your cursor at the top of the INI and paste the script into the INI. Leave a space between the script you just added and the section below.